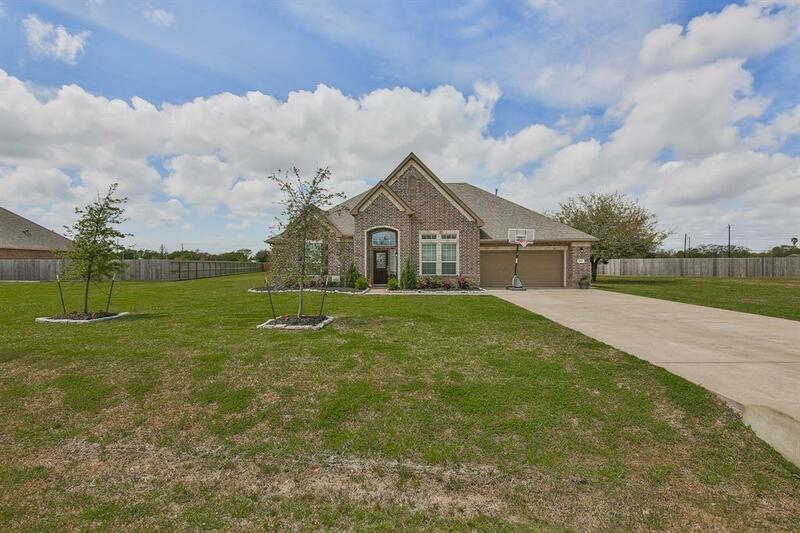 Located in the quiet, relaxed community of Sellers Station, this perfect 4-bedroom, 3-bathroom home is a must-see! 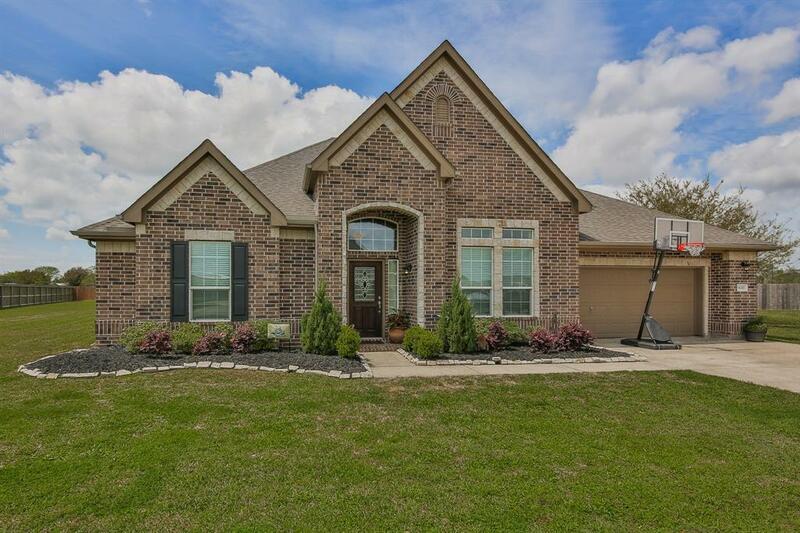 Situated on 0.84 acres, this 4-sided brick property boasts high ceilings, tile flooring, a great room with stone columns and a fireplace with a stone surround, formal dining room, a study with French doors, additional family room, and a media room wired for surround sound speakers. Fall in love with the stunning kitchen, featuring quartz countertops, tile backsplash, a recently replaced stainless steel dishwasher, a gas cooktop, breakfast bar, and pendant lighting. Unwind in the spa-like master suite, complete with an oversized walk-in closet, double vanities, a whirlpool tub, and separate shower. 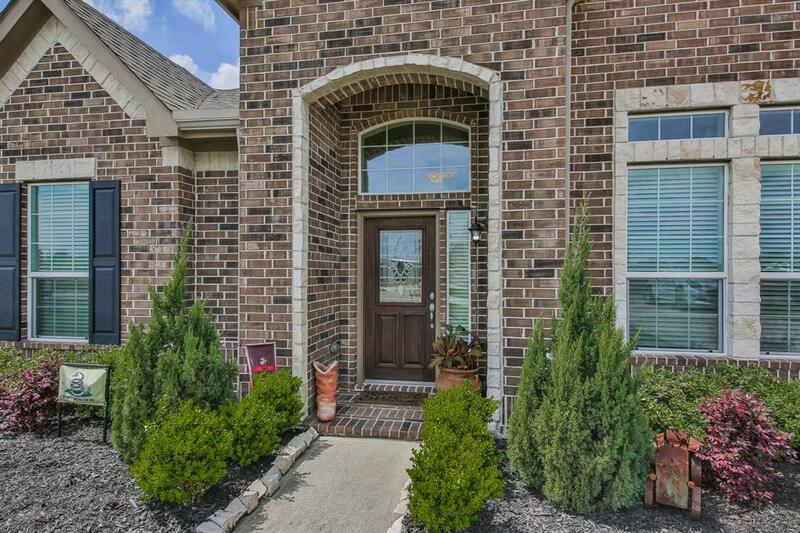 Step out into the oversized backyard with a covered patio, perfect for outdoor entertaining. 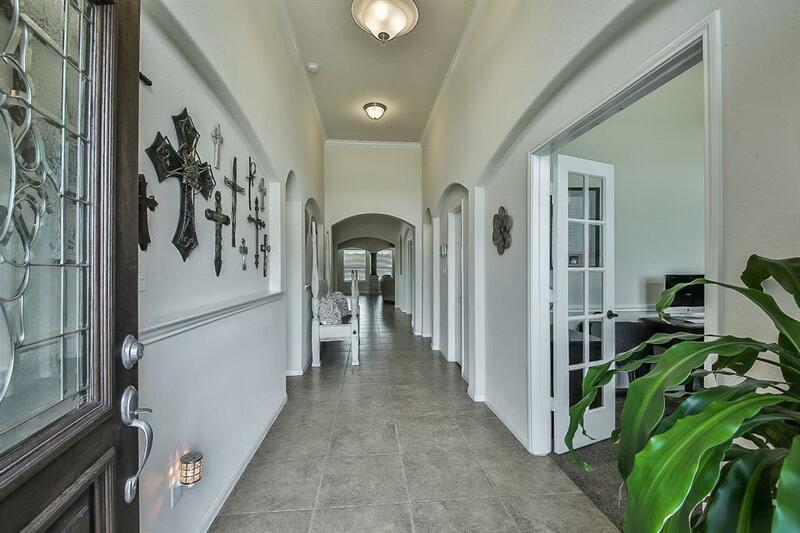 Located near I-10, enjoy easy access to Downtown Houston. Only a few minutes from Trinity Bay! Students attend Barbers Hill ISD. Dont wait call today!